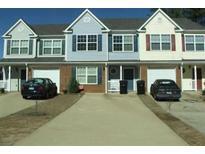 Find Union City, GA Homes for sale. View Photos, Maps and MLS Data Now! Close To I-85 And The Atlanta Airport. MLS#8567608. Keller Williams Rlty Atl. Part. Cash Only Deal, Selling As-Is, No Seller Disclosure. MLS#6538943. 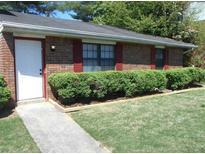 Platinum Real Estate, Llc..
Secluded Backyard Scenery.Great Priced End Unit Townhome! MLS#6537909. Virtual Properties Realty.Com. 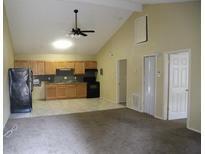 Combined Living And Dining Room, Great Townhouse In A Wonderful Community. MLS#6537860. Bhgre Metro Brokers. Property Sold As Is, No Seller Disclosure. MLS#6537715. Solid Source Realty Ga, Llc.. Relax Down By The Pool In A Growing Community With New Construction. MLS#6537623. Robby Caban Realty, Llc. Seller Requests That Buyer Use Seller’S Closing Attorney. MLS#6537188. Georgias Finest Real Estate Inc.. Please Call To Schedule Appointment. Cash Only Deal. MLS#6537604. Platinum Real Estate, Llc.. Ideal Located Minutes From The Airport And Less Than 30 Minutes From City Center! MLS#6532102. Maximum One Greater Atlanta Realtors. Must See, These Homes Go Fast! Make Appt To See! MLS#6535411. 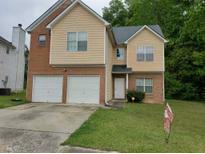 Crye Leike Realty, Inc..
10 Minutes From Atlanta Airport, 4 Minutes To Major Interstate. MLS#8560711. Webb Solar Realty Llc. 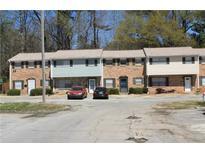 Minutes To Hartsfield Jackson Airport And Shopping Areas! ! MLS#6534092. Keller Wms Re Atl Midtown. This Home Is Ready To Move In! MLS#6534351. Berkshire Hathaway Homeservices Georgia Properties. This One Won'T Last Long. Come View Today! MLS#6526856. Palmerhouse Properties. On All Final Inventory. Agents- Commissions Is Now 4%. MLS#8552180. Knight Realty Of Georgia. , In Closeout Phrase Hurry Before All Homes Are Gone. Agents Commission Is Now 4%. MLS#8552188. Knight Realty Of Georgia. Call Agent For After Hour Code - Box On Model Door. MLS#8552196. Knight Realty Of Georgia. Final Inventory. Agents Commission Is Now 4%. MLS#8552248. Knight Realty Of Georgia. This Is Perfect For The 1St Time Homeowner Or Investor... MLS#6524174. Keller Williams Realty Intown Atl. Oakley Township - 10 Mins From Airport And 15 Min From Downtown. 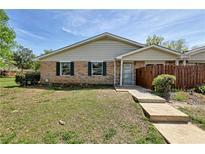 MLS#8547264. Spectrum Real Estate, Inc..
Do Not Disturb Tenants. Call For An Appointment. MLS#6519647. Maximum One Greater Atlanta Realtors. Beautiful Renovation Just Completed On This One Bedroom In Shannon Villas $1500 Appliance Allowance Must Use Seller’S Closing Attorney MLS#6517416. Gps Property Management, Llc..
1893 Sq Ft! Awesome Builder Incenives! MLS#8540683. Adams Homes Real Estate Inc..
Nice Backyard Corner Lot! Home Is Still Under Construction. MLS#8540686. Adams Homes Real Estate Inc..
Do Not Miss This Once In A Lifetime Opportunity!! ! 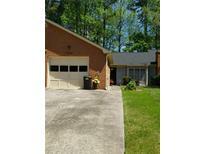 MLS#8537977. Keller Williams Rlty Atl. Part.